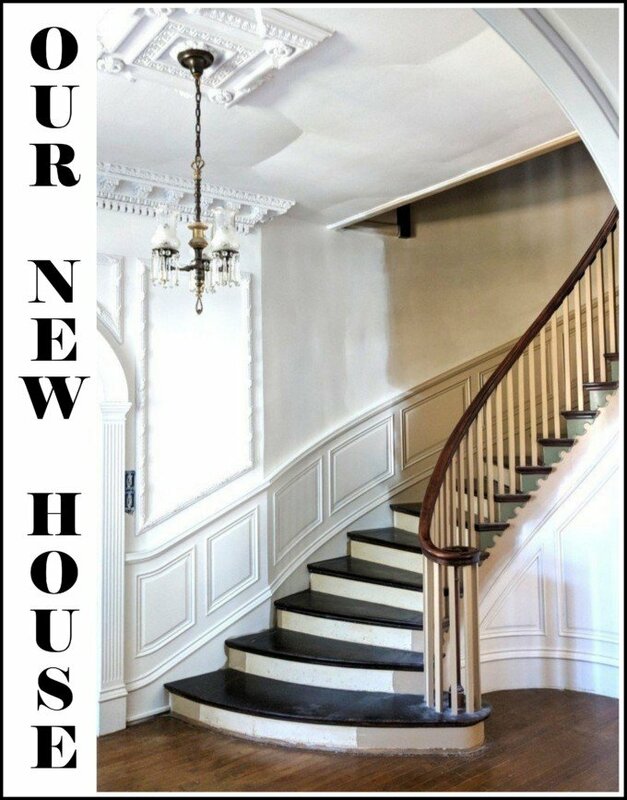 One thing I’ve noticed about myself through this renovation, is that I NEED to have places in my house that are extremely neat and organized… to give myself some sense of control in the midst of absolute chaos. 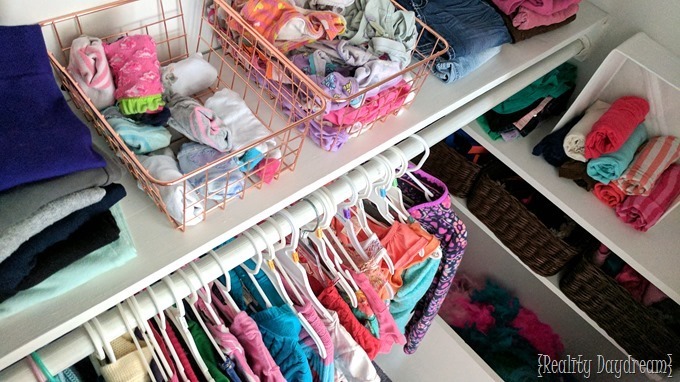 Even if it’s the girls’ bedroom or little nooks here and there. Mandatory. 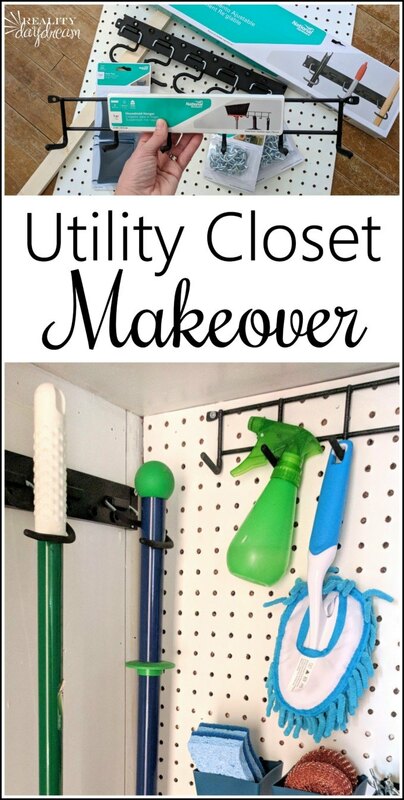 So when I was chatting with my friends at National Hardware about the Marie Kondo craze and all things organization, I was inspired to give my hectic cleaning/utility closet a makeover using some of their hook systems! This little room is called ‘The Dinette’ on the original blueprints of the house… which makes zero sense because it’s not big enough to dine in by any means. It has more of a ‘mudroom vibe’, and is at the intersection of the dining room, kitchen, and basement. It’s that gross room where you throw things you don’t know where they should go, and put the litter box so you don’t have to look at it, etc. 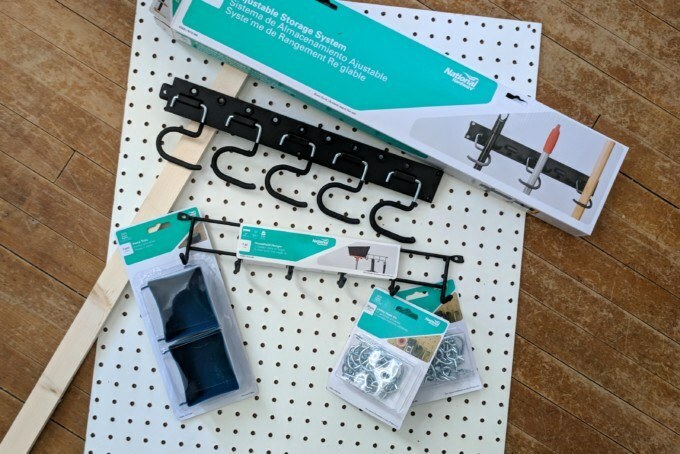 I gathered up all my goods from National Hardware, as well as new pegboard and a 1×2 for support braces. While we’re talking about Marie Kondo, let it be known that quick organizing projects have have big impacts spark joy in my heart SO HARD. Sparks that turn into wildfires in my heart and make me want to go from room to room making all the things organized, functional, and efficient. 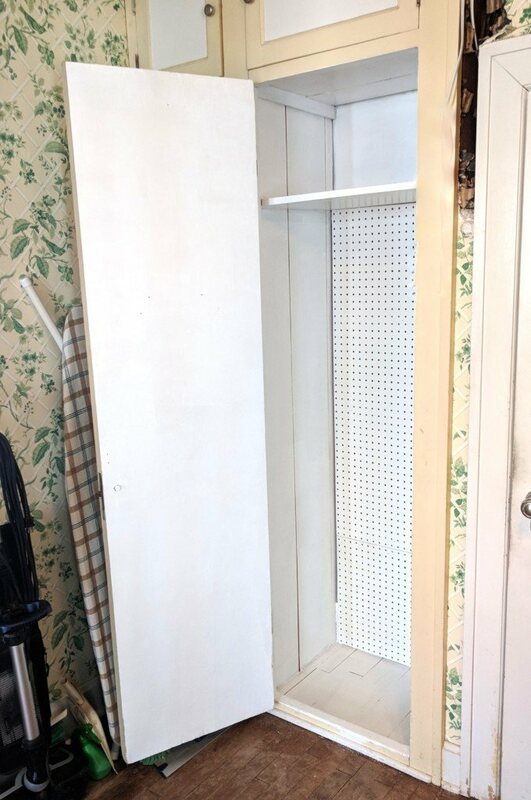 But let’s stay focused here… the cleaning closet. 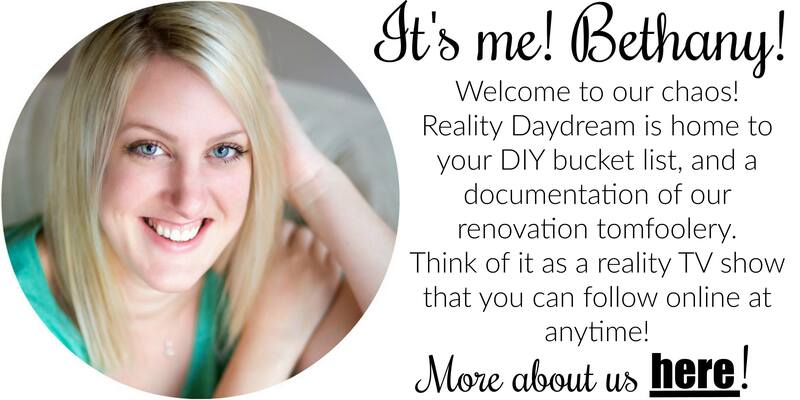 I got things started by emptying everything out, and giving it a good wipe-down. Some of that grime was probably almost 100 years old. 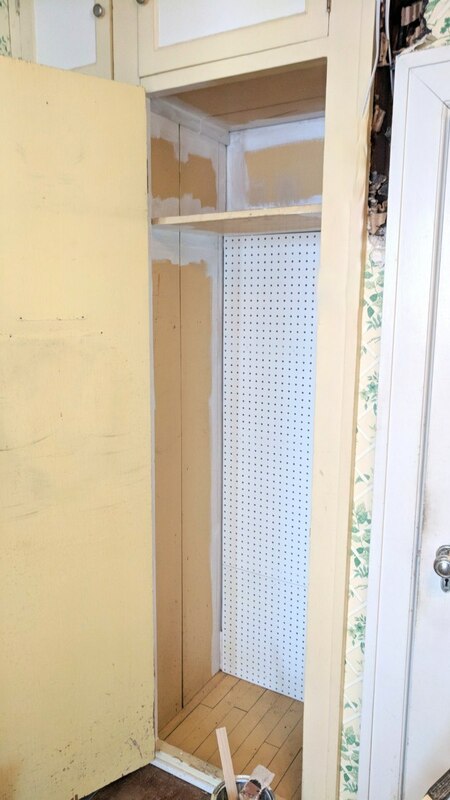 I put in 4 or 5 horizontal 1×2 braces to act as supports for my pegboard. 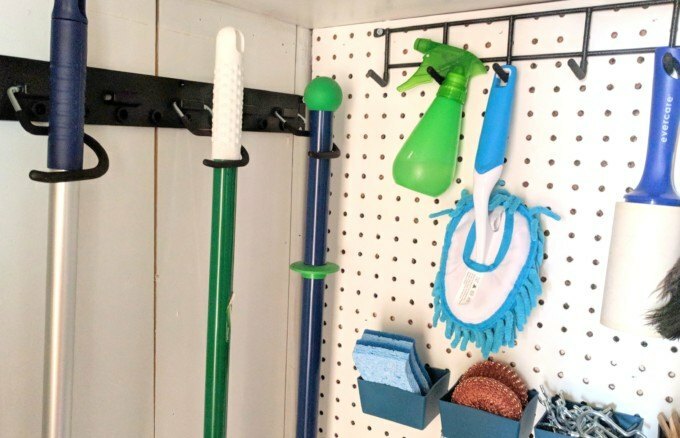 The reason for this is that you need your pegboard to be set away from the wall a good 1/2″ or more so that your hooks can go in and out easily without hitting the wall behind the pegboard. 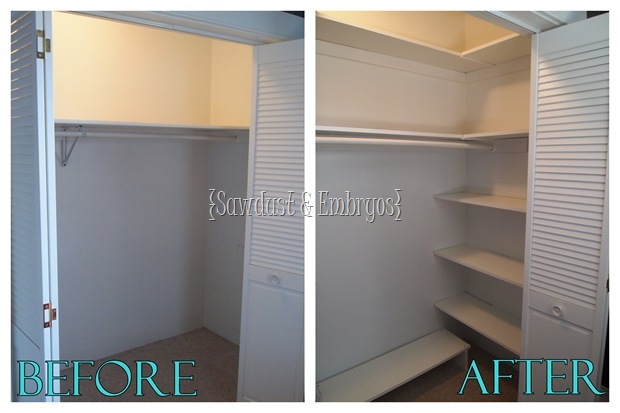 Obviously, it took two coats of paint (3 in some places), but the white makes all the difference in the world! PAINT ALL THE THINGS WHITE! Except your kitchen cabinets. Mkay? It was so fun deciding where to put all these fun hooks and organization systems. This business brings me LIFE. 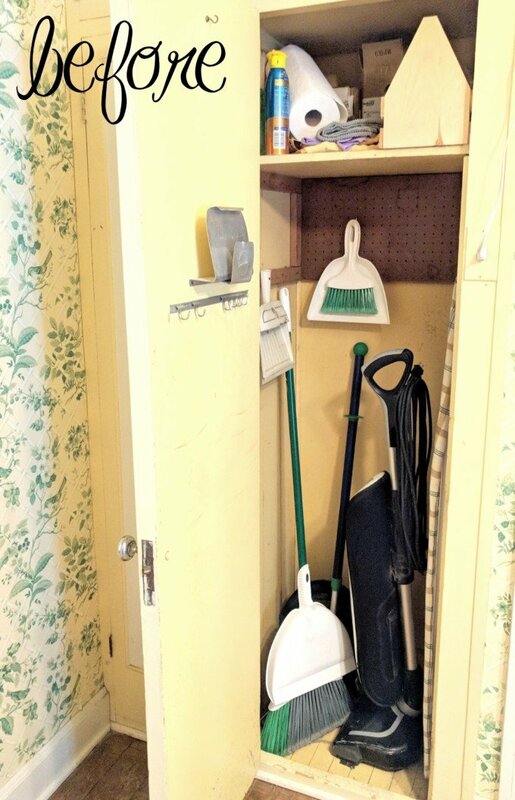 We used the Adjustable Storage System for our broom, mop, and tall duster. It comes with mounting hardware, and is so easy to pop up into place! You could also use this in the garage for rakes, shovels, hoes, etc! And it is able to extend all the way to 64 inches, with LOTS of hooks! We used their Household Hanger for smaller dusters, lint rollers, etc. 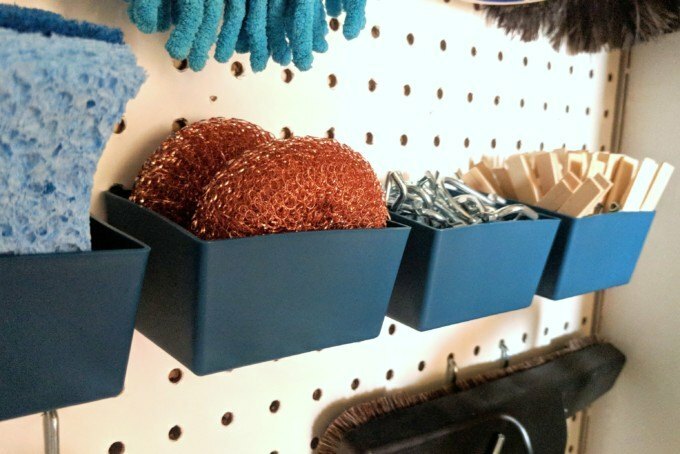 And these handy little Parts Trays for things like sponges and extra Pegboard Hooks! 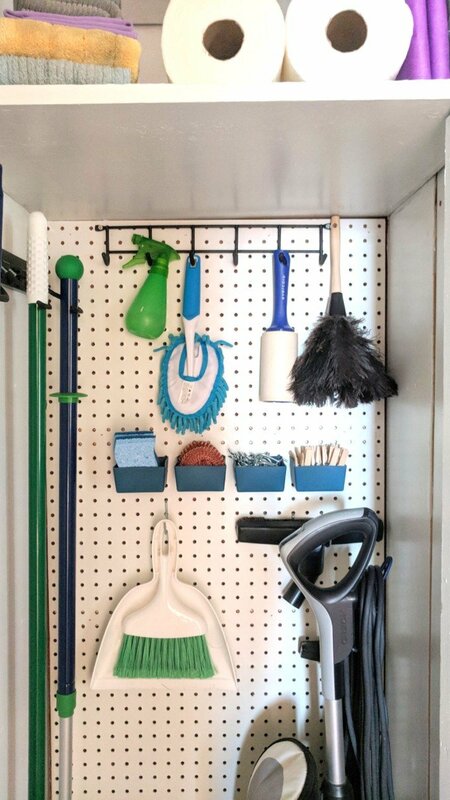 This perfectly organized space in my home feels like a diamond in the rough, and it brings me unspeakable joy when I walk by or go to grab a cleaning implement. My friend Dana (my Vinyl dealer) even cut my a vinyl decal that says ‘Clear the Clutter’ for that blank space above the ironing board. I love it! 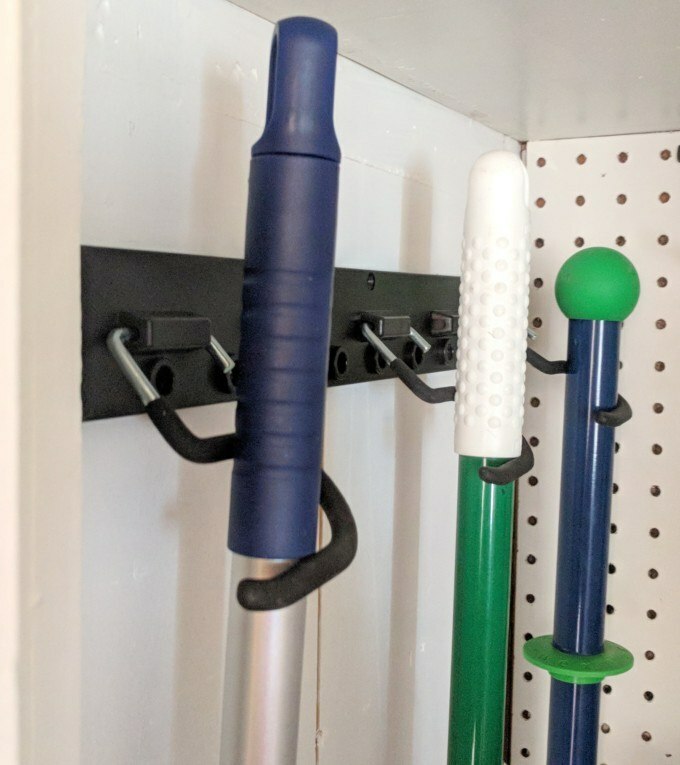 Speaking of the ironing board, we used two of these coat hooks at a slight angle to hold it up on the door, and it works so perfectly! 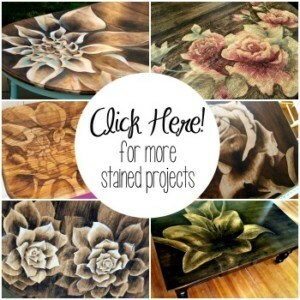 We’re so happy with how this quick project turned out! 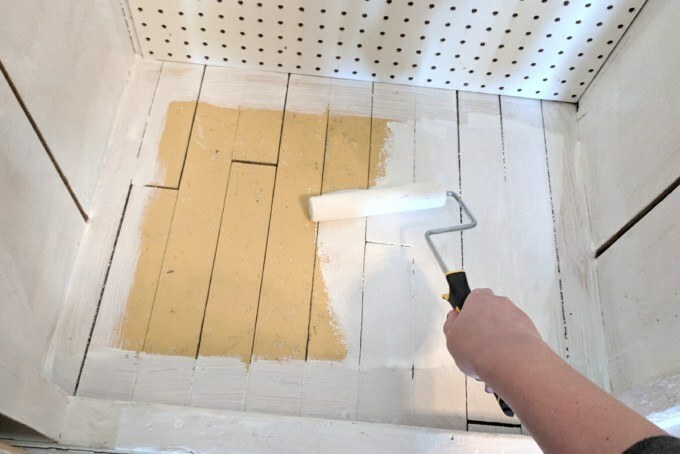 And now I’m scouring the house for the next corner or closet to tackle to give me some near-instant gratification to balance out the SLOWEST GRATIFICATION EVER IN OUR KITCHEN RENOVATION. About that, update post coming soon! 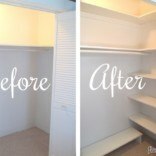 ADD CLOSET SHELVING to any builder-grade closet! I love this!! 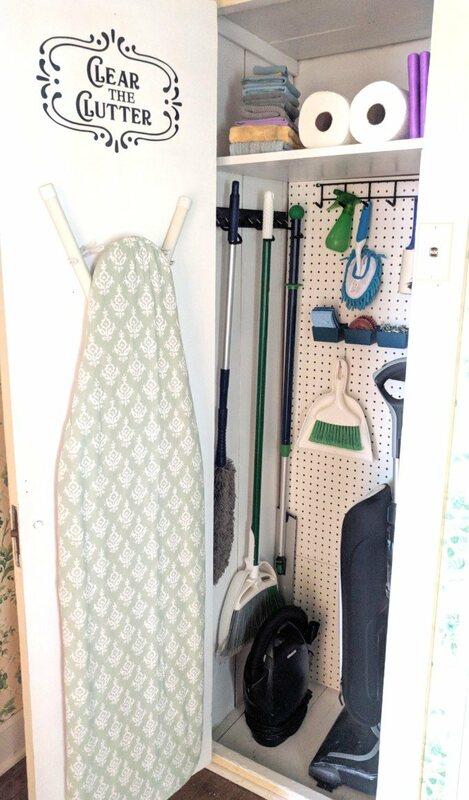 I am working on tidying up my garage and creating a broom closet! Gave me so much inspiration! Great job! 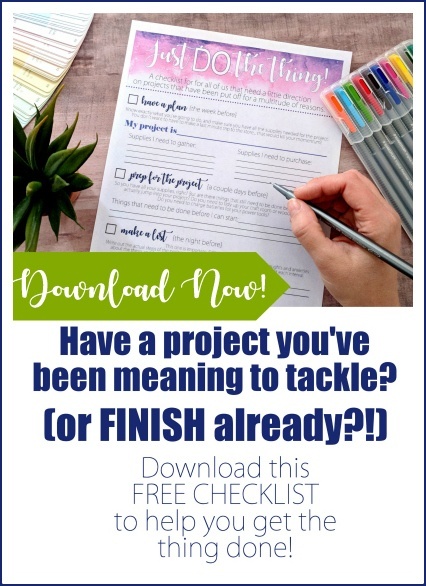 I have that same tall duster that sparked my organization project! 🙂 Doesn’t it feel great?